How can I become a better leader in 2011 without becoming overwhelmed by the process of learning? The essential problem with most leadership development efforts is that they are disconnected from the actual work that needs to take place on a day-to-day basis. This is one of the conundrums of education. We have to reach a certain level of knowledge and ability before actually applying what we know. For example. Imagine learning a new language. There is a lot of study that is required before the ability to speak conversationally is acquired. I think the same is true for many of the skills of leadership. And, frankly, most of us don’t have time to enter into a concentrated period of learning to become a better leader. We are already maxed out on our time and energy, and the competing demands of family and community. Is there an alternative way to learn? Yes, we can be self-learners by applying a simple methodology. Most contemporary leadership approaches focus on attitudes and behaviors. That is good, but not sufficient, because much of our effectiveness as leaders has to do with our ability to communicate ideas, collaborate with people, and coordinate the systems of work that are at the heart of our organizations. That is a pretty big picture to manage as a leader, especially if your goal is to become better. How we can approach a year of learning that is simple, direct and provides immediate feedback. What is the initiative that I need to take right now? 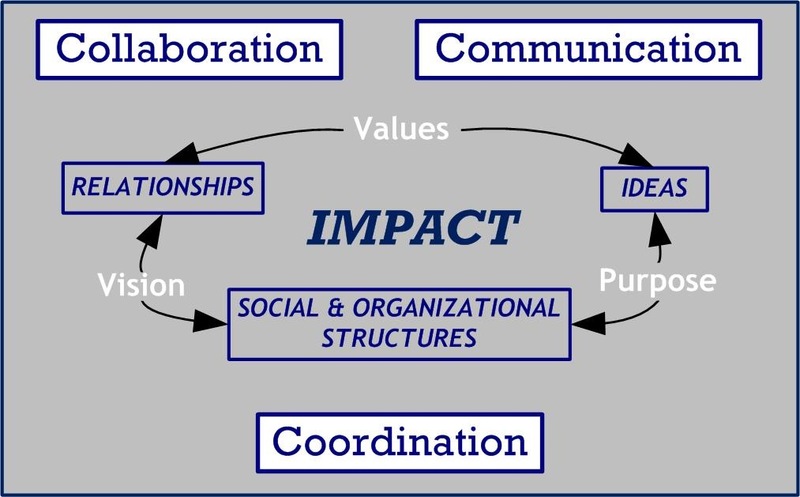 The context for asking this question is the Three Dimensions of Leadership that form the Circle of Impact as seen in this diagram. We can ask the question in a more general way. 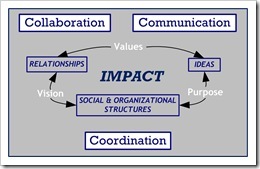 What is the initiative I need to take in Communication, Collaboration, and Coordination today? While it may help to think in such broad terms, it may be better to make it even more simple and direct. Let’s ask the question for more immediate benefit. What specific Idea do I need to share right now? Not, how I can ramble through a bunch different ideas to find the right one. But what is it that I need to say right now or as the situation may dictate, not say anything right now. What do I need to do right now to strengthen this relationship? When we ask about what I need to do right now, we are moving from a passive state to an active one. And it could well be that in a particular instance, not doing something, is the initiative we need to take. Taking initiative is not about taking control. It is rather about our responsibility to act appropriately in each and every situation. This is where my notion of “leading by vacuum” comes from. By this, I mean that leaders should stay within certain boundaries, so that others should take the responsibility that is logically due them in the situation. This is particularly true where there is a high level of freedom to choose to act or not in a group or team. In this instance, the leader’s responsibility is to build a shared commitment to the goals of the group. The leader’s own initiative should create the conditions for other team members to take initiative as well. The third area of initiative concerns our actions within the organization’s structure. I divide these into four broad areas: governance, program, operations and resources. Here’s how we can ask our question of these four areas. What initiative do I need to take today with our board of directors regarding policy and strategic planning? What initiative do I need to take today regarding program, products or services development? 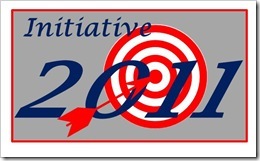 What initiative do I need to take today to improve our operational capacity? What initiative do I need to take today to address our resource needs? I’m sure if you sat down for 30 minutes and reflected upon these questions, your day would quickly become filled with action steps that you need to take. Maybe that is what you need to do today, but not everyday. This is not a learning approach. As you approach learning this way, a growing awareness of situations will grow. You’ll see how to lead through your own personal initiative. And the difference will become tangible and meaningful. Just a simple question: What is the initiative that I need to take right now? 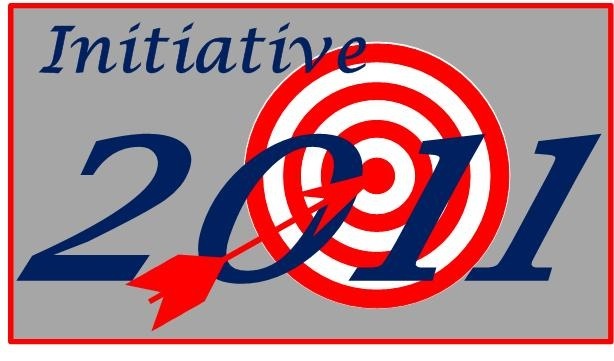 Keep asking it, and your leadership will improve and 2011 will become known as the year of initiative. I wish you all the very best in your leadership endeavors this year. Tagged with attitudes, behaviors, Circle of Impact, collaboration, communication, coordination, governance, ideas, initiative, leadership, operations, organization, program, relationships, resources, structure.